In the short video that follows, Telluride Alumni and Faculty share why this patient safety educational experience is like none other. Applications for medical student and nursing scholarships, thanks to the generous sponsorship of The Doctors Company, are now being taken via the website (click here). Resident physician sessions are also available, and all are welcome to apply with sponsorship from their programs. Thanks again to the generous sponsorship of CIR, COPIC and MedStar Health, resident physicians with affiliation to these organizations should reach out to their leadership and apply for one of the spots they sponsor as well. Deadline Extended to February 15th! Not sure how late summer and fall flew by so fast, but it is already November, and we are now taking applications for our 2015 Telluride Summer Camp sessions! Step up and become one of our Telluride Patient Safety Champion Alumni–over 500 strong– by applying to spend one of FIVE weeks immersed in learning and discussions on how to become a patient safety leader. This coming summer, there will be three locations for medical students and advanced practice nurses, and two locations for resident physicians. Because of the tremendous success we have seen through the years, and as a result of our continued growth both nationally and internationally, the Telluride Patient Safety Summer Camps will take on a new look and name beginning in 2015, but the spirit in which the patient safety intensive workshops will operate will not change. The newly anointed (chosen by our Telluride Alumni Scholars) “Academy for Emerging Leaders in Patient Safety: The Telluride Experience,” will continue to gather patient safety leaders from around the world, along with patient advocates and industry leaders to discuss issues related to the open, honest communication and patient-centered healthcare, both critically needed to produce the highest quality. safest care possible. Once again, we will be taking applications online (click here) and the deadline for 2015 sessions is January 15, 2015. On the website you will also soon find familiar faces, starring in a new, mini-documentary on the Telluride Experience. Telluride Alumni continue to create change at their home institutions, and inspire their colleagues. 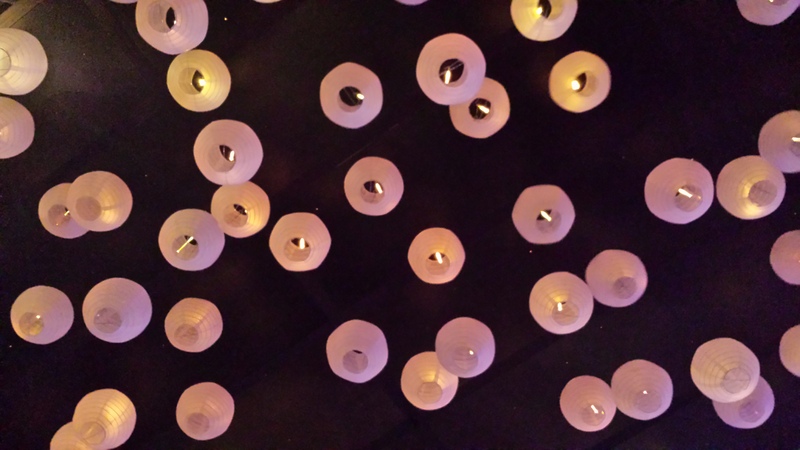 The following reflection was shared by a Telluride Scholar at the end of her first day at one of last year’s sessions. It is messages like this that reinforce how important the work being done in Telluride has been, and will continue to be through the Academy. And it is most definitely a two-way exchange of inspiration. Many of us have similar days and weeks of frustration and despair, feeling the changes so badly needed aren’t happening fast enough. Our faculty also leave “recharged” after seeing and feeling the passion and commitment these future healthcare leaders have for achieving safe, high quality patient care. Please consider joining us in 2015! On the closely approaching eve of the 2013 Telluride Patient Safety Educational Roundtable & Student/Resident Summer Camps (#TPSER9), Nate DeFelice MD, a 2012 alumnus, sent us the following report of a project that was inspired by his time at the Resident Summer Camp last year. Stay tuned for more great stories and learning from this year’s Summer Camps kicking off Sunday night, June 9th. 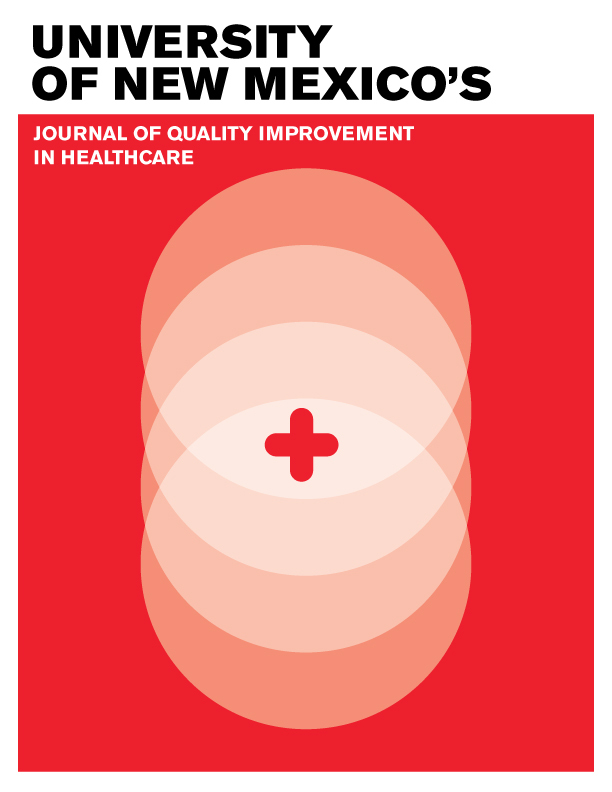 At the University of New Mexico Hospital, a group of residents across departments created and published a journal featuring resident-led QI projects called, University of New Mexico Journal of Quality Improvement in Healthcare (check it out!). As far as we know, it is the first of its kind in the country, and the 2nd edition was released at the beginning of the month with great excitement. The journal includes resident-initiated projects, both completed and in-progress, covering a range of topics from readmissions to handovers to medication safety. It is an impressive showcase of the many ways residents have used their energy and time to make the UNMH healthcare system more patient-centered, efficient and safe. This journal has not only increased the level of excitement around QI projects for residents, but we are hopeful that the sharing of ideas will springboard even more innovative work in our departments. The support and commitment to this journal has been inspiring to watch — it’s hard to believe this is only its second year. On a personal note, this editions includes a project by myself and another internal medicine colleague, first conceived during my time at the Telluride Patient Safety conference last year. During this conference, several residents from other programs across the country, along with director David Mayer MD, discussed the great work they were doing on increasing resident reporting of adverse events and near misses. We decided to give it a try at UNMH, and began an internal medicine resident near miss/adverse event reporting system. The data is still rolling in, but we are hopeful that reporting of near misses has increased, and our patients are safer as a result of our efforts. The journal was made possible because of a strong collaboration between our resident union, CIR; GME; and UNM Health Sciences Center. Funding for the journal was made possible through funds we negotiated in our last contract that are set aside to assist residents in carrying out QI projects. We imagine after such a strong showing of support it will continue to grow stronger, and the journal will continue to improve while at the same time, making our hospital safer. For more information on the Telluride Patient Safety Educational Roundtable and Student/Resident Summer Camps, see the following video!